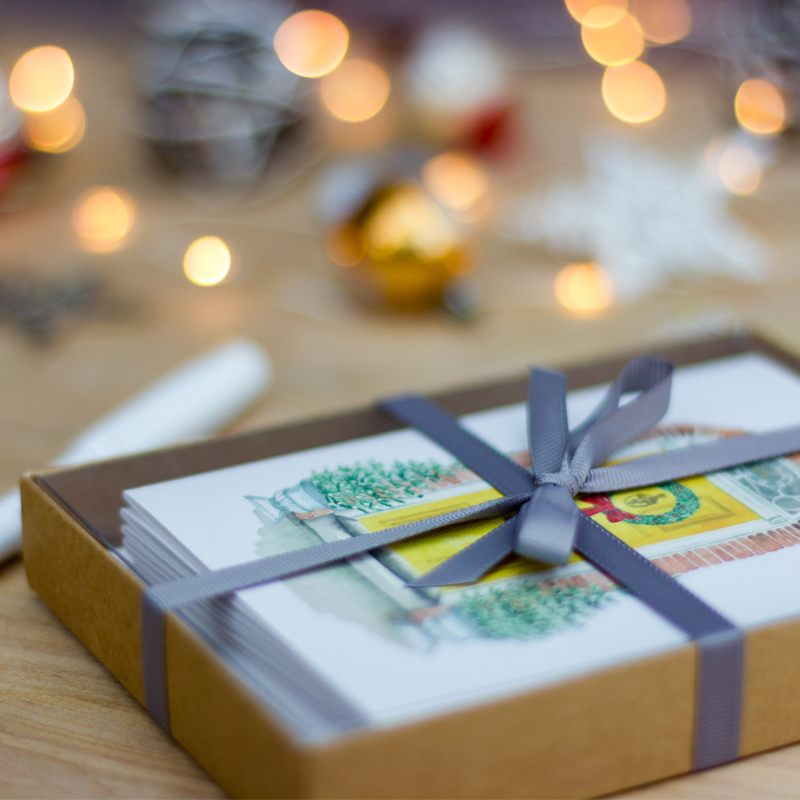 Ok, so this isn’t strictly wedding inspiration, but I know my brides and grooms are into their stationery so I am very happy to share with you my new Christmas Card range. 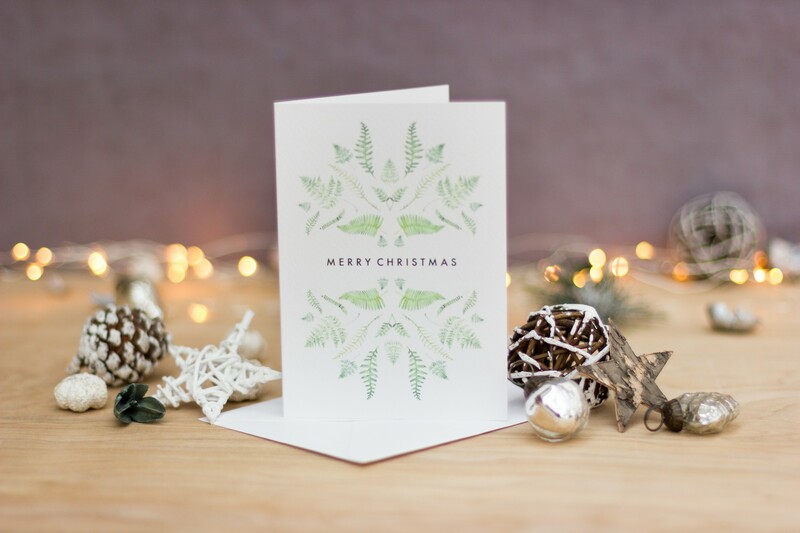 Last year I designed this Fern Christmas card, which many of you who have looked through my wedding collection will recognise the design as part of the Fern Wedding Stationery collection. 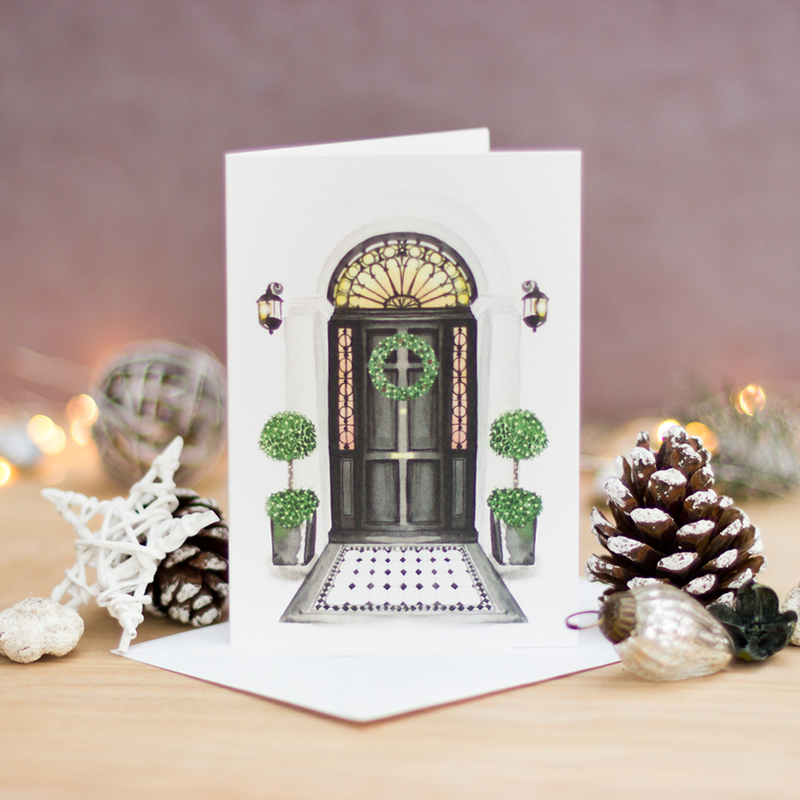 Well this I was the original plan: the ferns reminded me of mini Christmas trees. 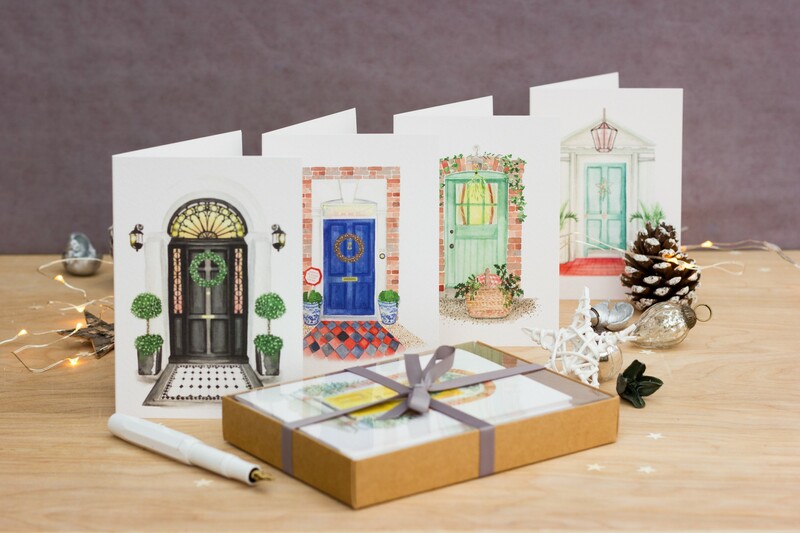 It was such a popular design I decided to make a wedding collection out of it, as well as make it available to buy this year in Christmas card form. 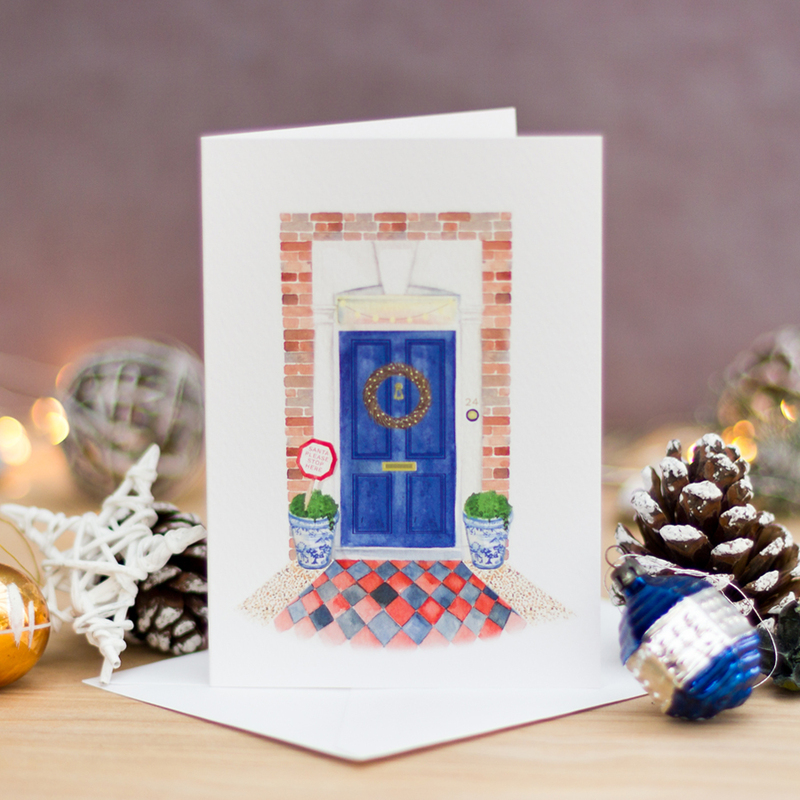 All my cards are available on Not on the Highstreet. 2016 (Or I think of it more as 2017 range as we all could do with a fresh start couldn’t we!) 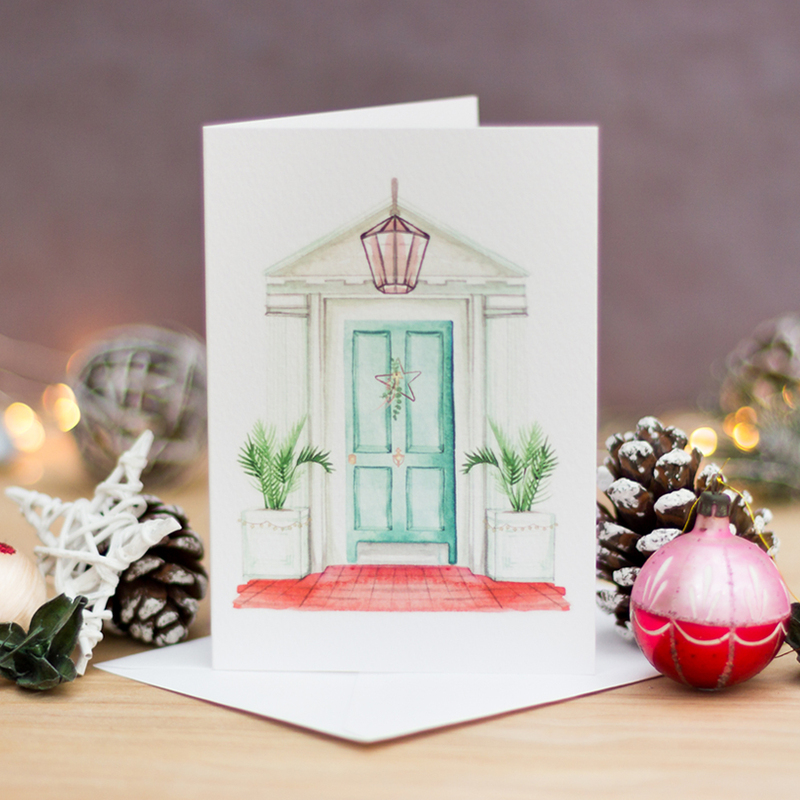 has been inspired by the increasing obsession with photos of beautiful front doors on Instagram! 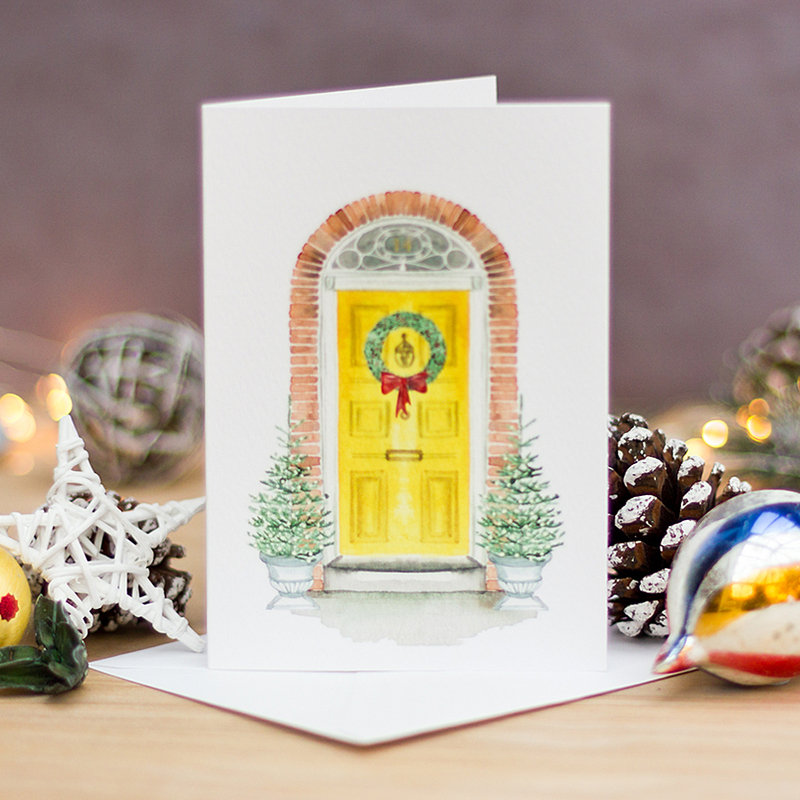 Sounds niche, I know, but it planted the seed of an idea: the comforting image of your family front door at Christmas having travelled home through traffic and weather over the crazy build up to Christmas. How soothing and yet massively exciting to think of what is behind that door and all the fun you’re going to have over the next week. 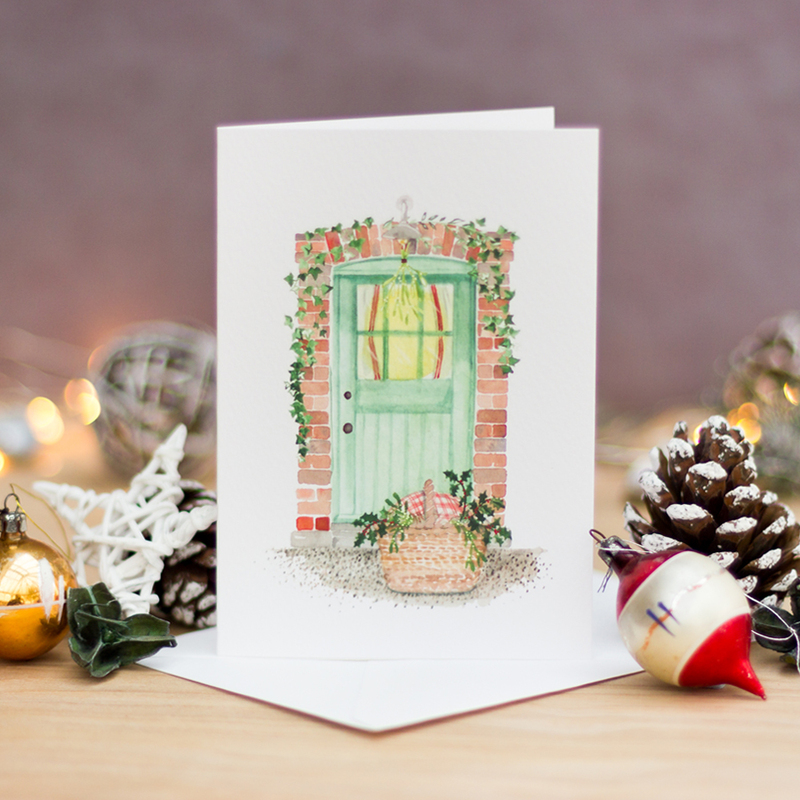 There are 5 doors in the collection, capturing a cross section of the different kinds of Christmas I have come to enjoy. Here are a few of the designs, but for the full collection, and the chance to buy a bumper pack of 20 (because I don’t know anyone who write fewer than ten thank you cards) of Not on the Highstreet.